Remember those Birthday Cushions on my FAL Q2 list? 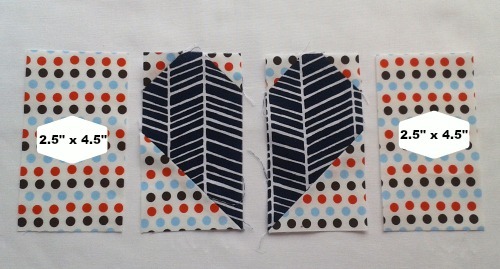 (Still haven't finished them) I'm making them using this tutorial by Allison of Cluck Cluck Sew. 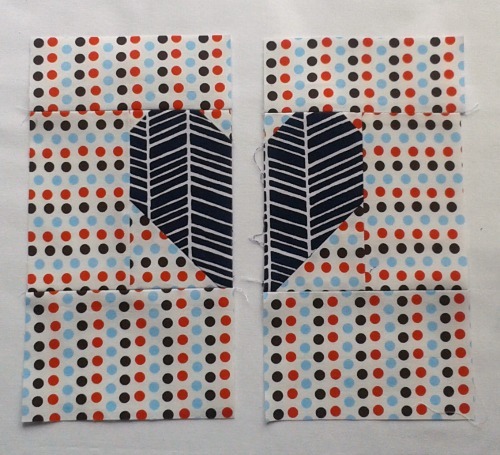 Whilst I was piecing the hearts I got an idea, played a little with Touchdraw and some graph paper and came up with this. 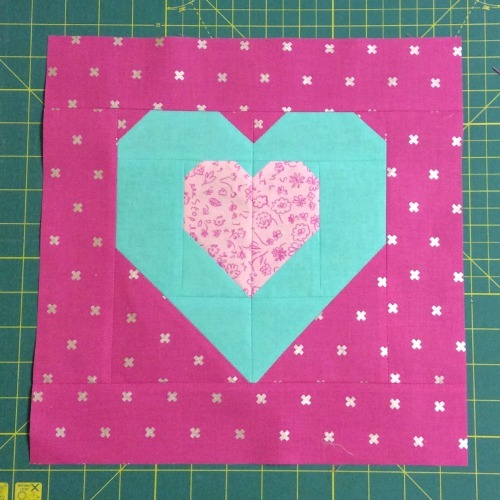 And so the Double Heart Block is born. I must say I rather like it! As my month in the Siblings Together 2 bee was coming up I thought that this would make a nice quilt for a tween/teenage girl and put writing a tutorial of sorts on my 'to do' list. Hey! Look, it's the second of the month in which I'm Queen Bee and I'm finally getting around to it. 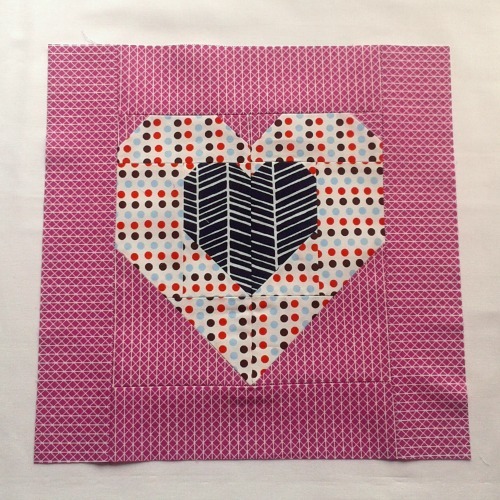 You need three different fabrics for each block, although I suppose you could use the same fabric for the inner heart and the border. 2. 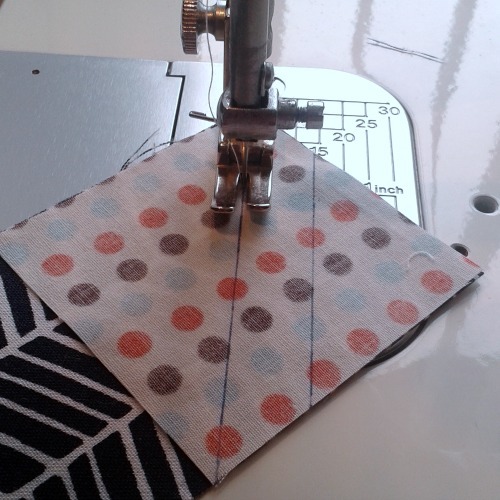 Sew along these lines. 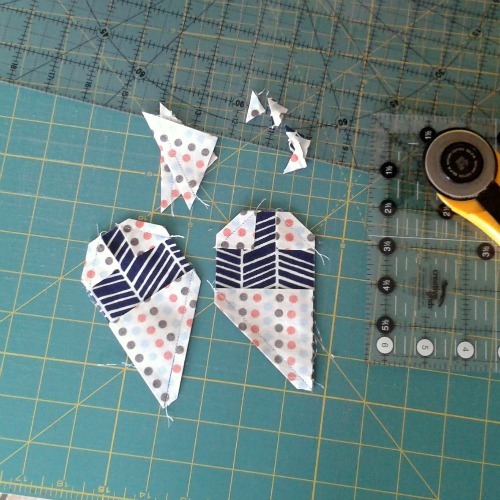 DON'T sew the two halves together yet. This is where the double heart block starts to differ from Allison's original. 4. 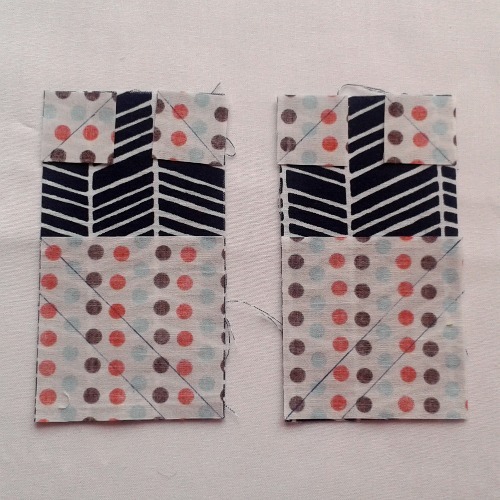 Sew a 2.5" x 4.5" rectangle to the outside edge of both half block with a scant 0.25" seam. Again, seams can be pressed either open or to the side. 5. 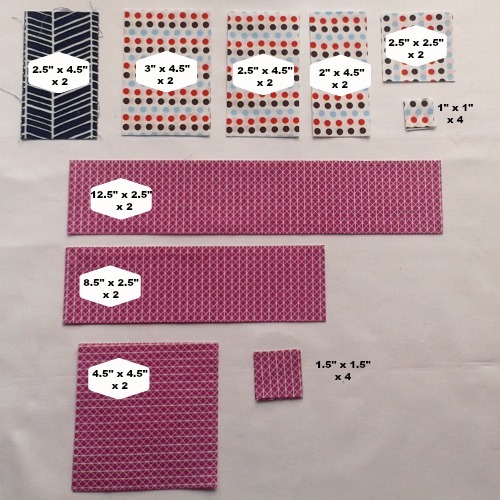 Now add the other Fabric B rectangles as shown above. Press as preferred. 6. 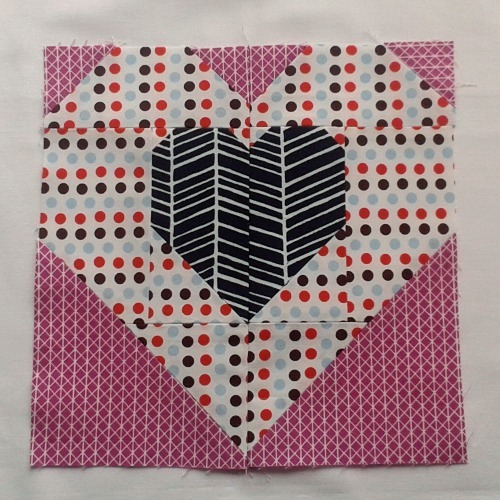 Repeat Steps 1-3 adding your Fabric C squares to your half heart blocks. 7. At this point we need to sew the two half together. 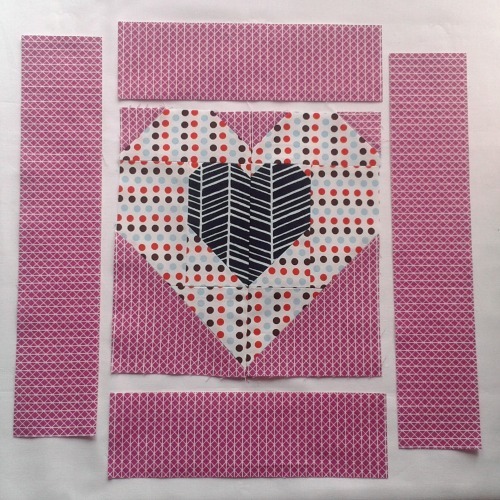 I used pins to match the points on the hearts but forgot to get a picture. 8. 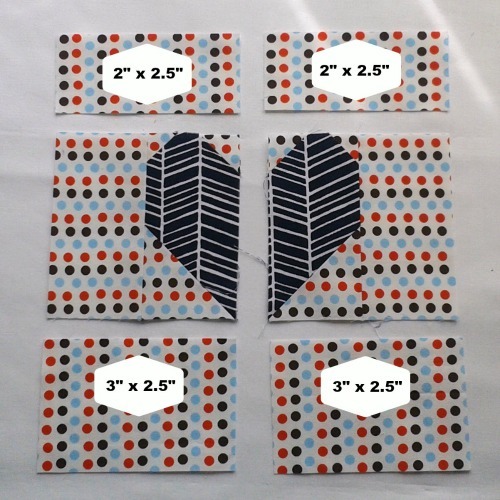 Add your border strips. And Voilà! Your have a Double Heart Block. 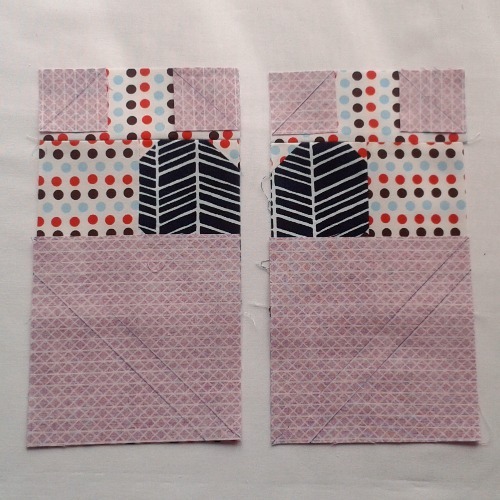 I'm going to ask my bee mates to go bright or go home with their blocks and hopefully I'll have a cheerful hugable quilt ready for July when this year's Siblings Together camps start. 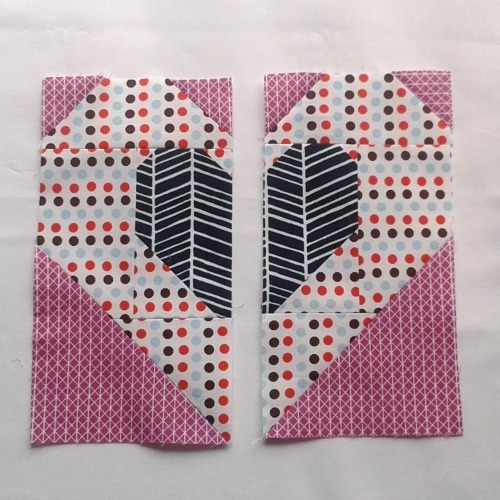 Nice Block Catrin, I did enjoy making them. Elfin Patch..